Our version of trail mix. 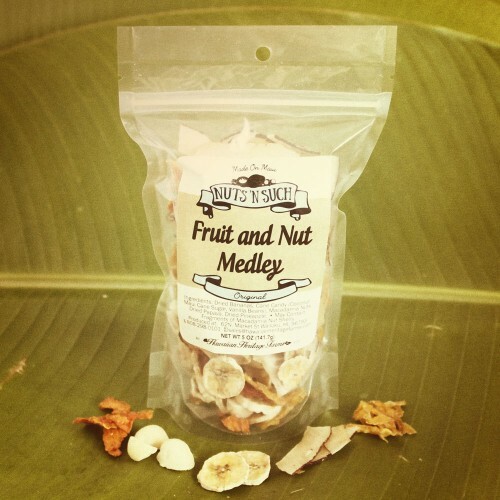 Our signature coconut candy combined with Maui macadamia nuts and dried island fruits . 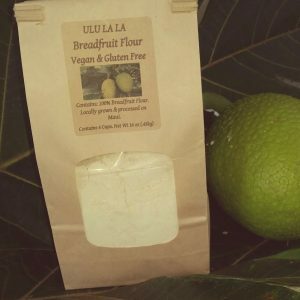 Light and crispy thin sliced coconut with a touch of cane sugar and real vanilla beans, macadamia nuts, dried bananas, papaya and pineapple. A healthy and delicious crunchy & chewy snack. Naturally vegan and gluten free. Available in a 4-ounce package.